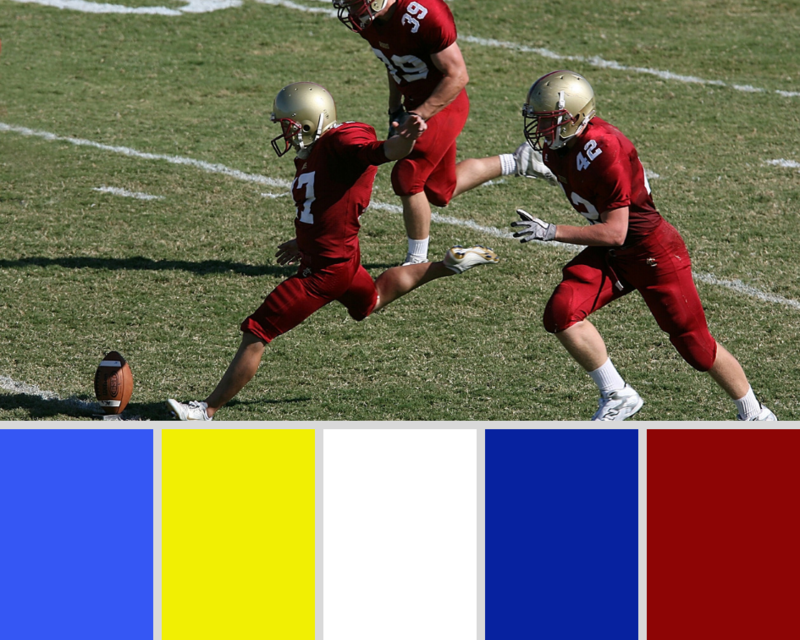 Can Jersey Color Predict the Winner of the Big Game? The Big Game is only days away and, like a lot of people, we’re excited to see the New England Patriots take on the Los Angeles Rams. In the lead up to the biggest game of the season, the Rams announced they would be sporting their bright blue and yellow “throwback” jerseys instead of their regular, darker blue jerseys. Being color connoisseurs, we wondered if this choice might be a winning strategy for taking down the five-time champs. Could jersey colors be the key to predicting the winners of this weekend’s championship? Let’s take a look. When it comes to color theory and team jerseys, red usually has the edge over other colors. The aggressive, dominant associations with the color red can boost athletes’ confidence as well as intimidate their opponents. 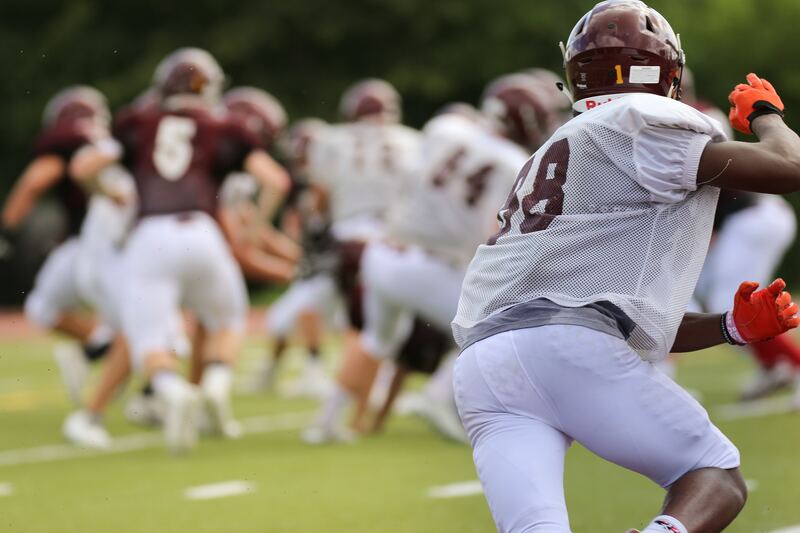 Studies have even shown that teams with red uniforms are more successful than those with any other color. The Patriots do have red accents on the uniforms they’ll be sporting for the Big Game, but is that enough to put them over the top? Maybe not, but they do have an unexpected advantage from a color that’s often overlooked: white. That’s right, the most understated color might just be the key to winning. While in other sports, aggressive red might be the best way to go. But in football, it can actually be a disadvantage as referees are more likely to call penalties on teams with red jerseys. Maybe that’s why only one team in the last twenty years has won the Big Game wearing red jerseys. White, on the other hand, has a big advantage. Our associations with this color of being good, clean, and fresh might help football teams avoid penalty calls that would set them back. Or perhaps, it could make opponents perceive them as less threatening, underestimating their ability to win. Either way, white jerseys certainly have an edge in the championship. Fourteen of the last twenty winners have done it wearing white jerseys. So does this mean the Patriots are on their way to another championship? The odds are definitely in their favor, but don’t count the Rams out yet. Blue’s association with intelligence, integrity, and security may work in their favor. Bolstered by the confidence that yellow inspires, they might just be the fourth team in the last twenty years to take home the trophy wearing this calm, cool color. What do you think? How much of a subconscious role does color play in determining winners or losers? And more importantly, who do you think will win this weekend’s Big Game? Vibrant designs. Exceptional versatility. Superior performance. These terms encompass the new Amuse Collection, which was recently unveiled by Encore Hospitality Carpet, a hospitality division of Brumlow Mills. With an impressive and bold array of 12 cut and loop patterns and nine bright statement colors made with Zeftron® Nylon, a premium branded nylon 6 yarn system, the Amuse Collection features stunning patterns and a performance-driven construction suited for hospitality projects or public space applications. Inspired by the current trend toward bright statement colors, the Amuse Collection is designed to appeal to leading designers, specifiers and end-users who seek to have the carpet serve as a dramatic focal point. Bold, yet sophisticated, the detailed designs range from geometrics to florals, with hues that range from bright berries to sunny gold. The collection offers fresh, modern appeal. With more than 108 different pattern and color variations, the Amuse Collection provides designers with a broad and diverse range of options from which to customize virtually any project or space. 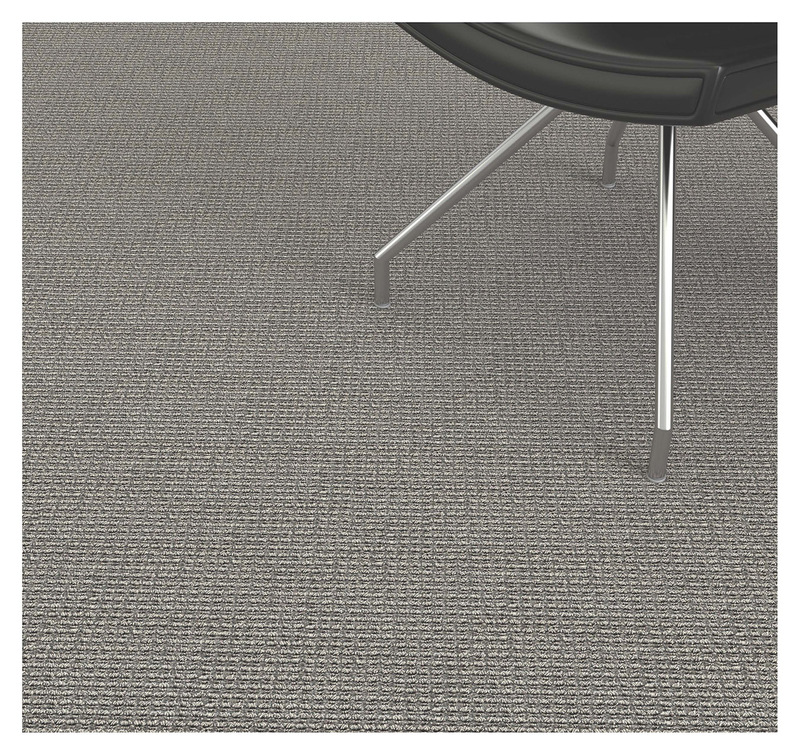 The vibrant styling elements of the collection are made possible through Encore’s state-of the-art Infinity manufacturing technology and Zeftron nylon, a solution dyed nylon 6 that offers superior styling, performance and recyclability advantages for commercial carpet products. Designers can begin the process of creating the perfect carpet for their project at the Encore website:www.encorehospitalitycarpet.com. Here they can select their patterns, colorize their designs and see how their carpet would look in a three-dimensional room scene. They can also download the room scene, as well as a color swatch, the colorways and a spec sheet to a PDF document. 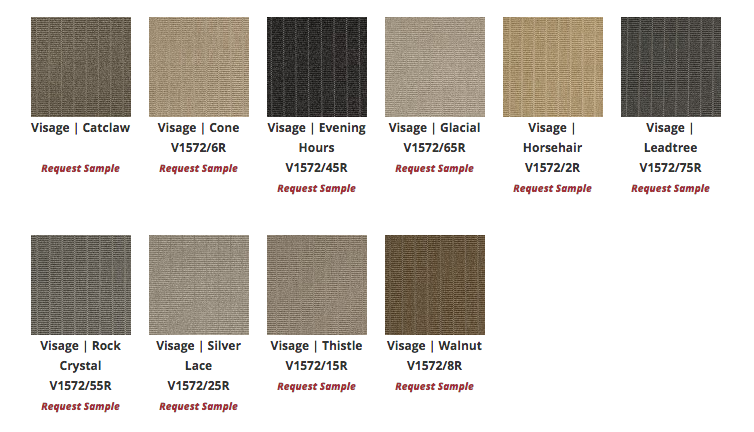 Bloomsburg Carpet, a maker of highly styled and superior woven broadloom carpet, is introducing four new sophisticated products through its Tuva Looms line: Broadcloth, Veneer, Lineage and Visage. Each product is made with Zeftron nylon, a fully renewable nylon 6 fiber that offers the best in style, performance and recyclability. Lineage: Zeftron nylon colors are twisted together to create a more complex and dynamic texture. These designs are inspired by natural textures and the stylistic creativity available through natural tones and can serve as the foundational piece for the design of any commercial interiors space. The coordinating patterns and common colorways work together seamlessly and bring an elevated sense of style and a unified aesthetic to areas such as private offices, conference rooms, hallways and lobbies. Products made with Zeftron can contribute to LEED points in several ways. 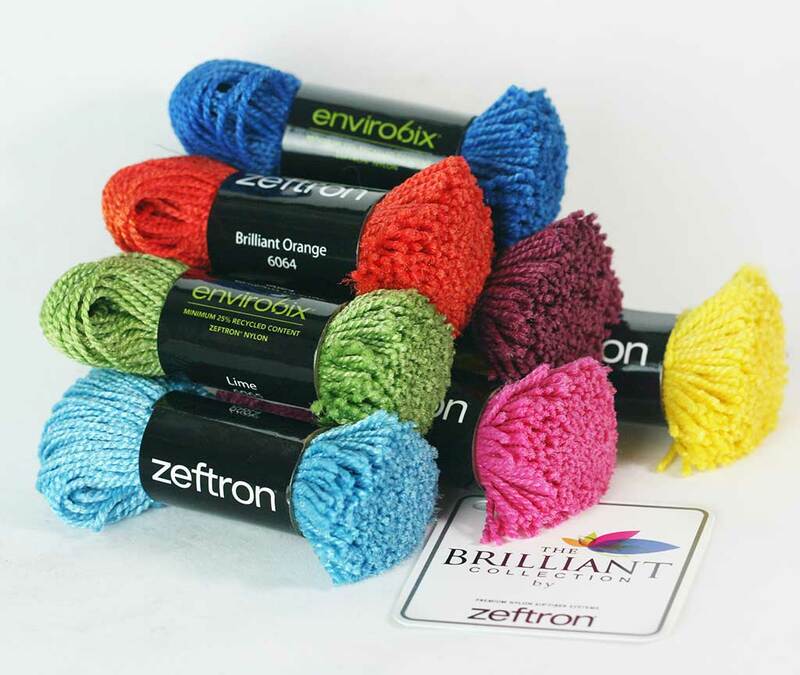 Zeftron nylon is a closed-loop, MBDC Cradle to Cradle certified brand that comes standard with a minimum of 25 percent recycled content in each yarn system. Zeftron nylon also offers lifetime performance and stain removal guarantees. 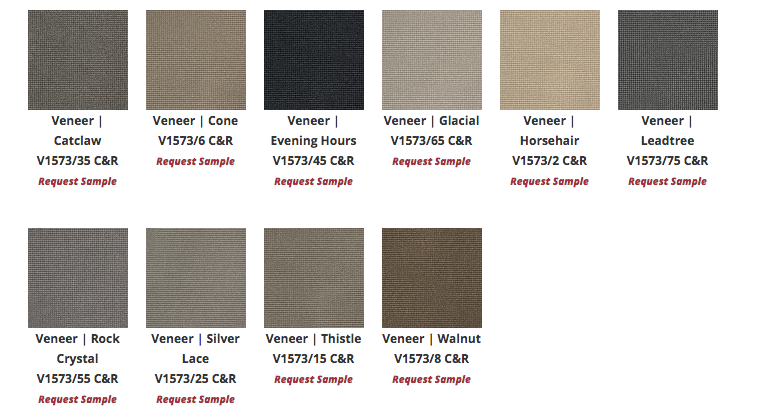 Broadcloth, Visage and Veneer are available in 10 colorways, while Lineage comes in eight. Veneer brings a modern furrowed design for added dimension. Broadcloth utilizes a cut-pile and loop-pile to add a simple yet elegant pattern over the textured background. 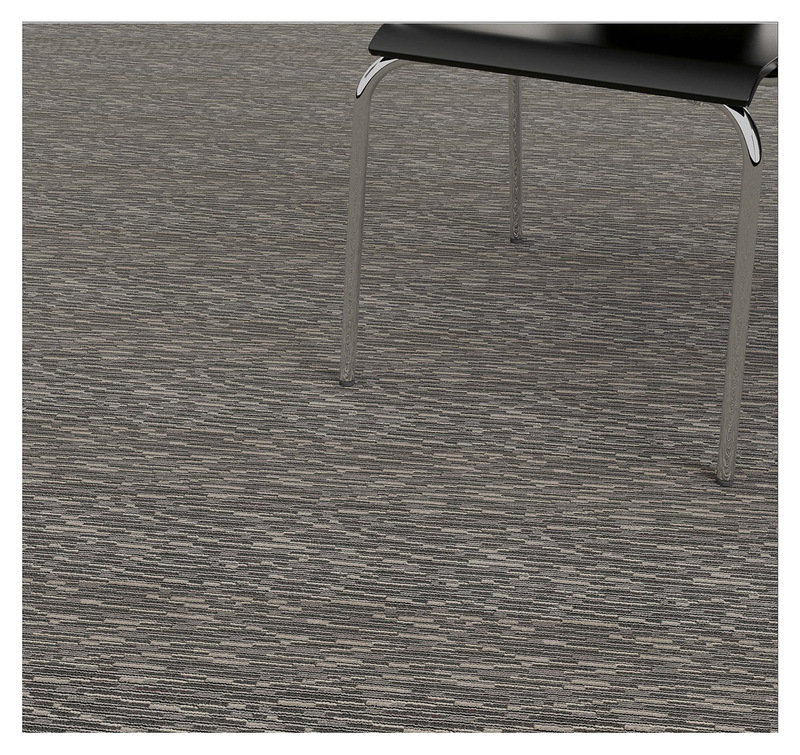 Lineage integrates solid colors from the twisted background of Visage, Veneer and Broadcloth in a cut and loop meandering, organic pattern. For samples or sales questions, architects, designers and specifiers can contact a Bloomsburg Carpet agent in their area by visiting http://www.bloomsburgcarpet.com/agents or calling 800-575-8084. Founded in 1976 by Raymond P. Habib and continued today through the leadership of Raymond’s son, Thomas Habib, Bloomsburg Carpet Industries is dedicated to producing highly styled carpets of superior quality. Bloomsburg Carpet combines American weaving craftsmanship with premium fibers to create carpet textures and designs that are unparalleled in the industry. They are passionate about the tradition of American manufacturing and are committed to keeping the long history of carpet weaving alive and thriving in the U.S.A. They stand behind the environmental responsibility of their products and will continue to design and produce with attention to sustainability. Bloomsburg Carpet is recognized as the only mill in the world to offer Wilton, Axminster and Velvet weaving all under one roof. Tuva Looms is named for a remote region in the heart of Central Asia with a heritage rich in rugs and textiles. These carpets are renowned for their unique weaving pattern of face and back as one. Colors, textures and patterns are conceived to work together, creating refined juxtapositions and seamless transitions. 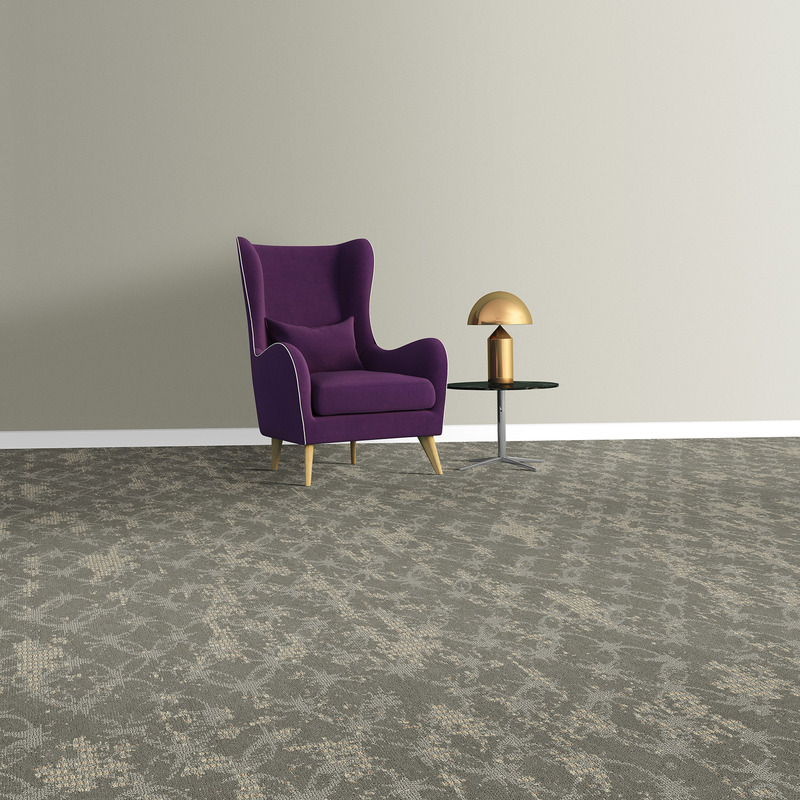 Bloomsburg Carpet and the Tuva Looms alliance creates thoughtfully designed and richly woven broadloom made of durable synthetic fibers with the eclectic appeal of organic materials. It boasts a sophisticated aesthetic influenced by modern architecture, a refined neutral palette and the outstanding quality essential to coalesce with Bloomsburg Carpet Industries. For more than 40 years, Zeftron® nylon has continued to deliver more value-added opportunities and advantages to the commercial interiors marketplace through dedicated partnerships, a premium branded nylon 6 product and superior service. Based in Dalton, Ga., the brand brings a history of innovations and unparalleled style, performance and environmental attributes. All Zeftron nylon yarns are closed-loop recyclable, MBDC Cradle to Cradle certified and come standard with a minimum 25 percent recycled content. As part of the brand’s commitment to environmental stewardship, Zeftron nylon makes recycling easy with its 6ix Again Recycling Program – a simple to use, all-inclusive carpet recycling initiative. Zeftron nylon is a part of Shaw Industries Inc., a Berkshire Hathaway company. For more information, visit www.zeftronnylon.com. 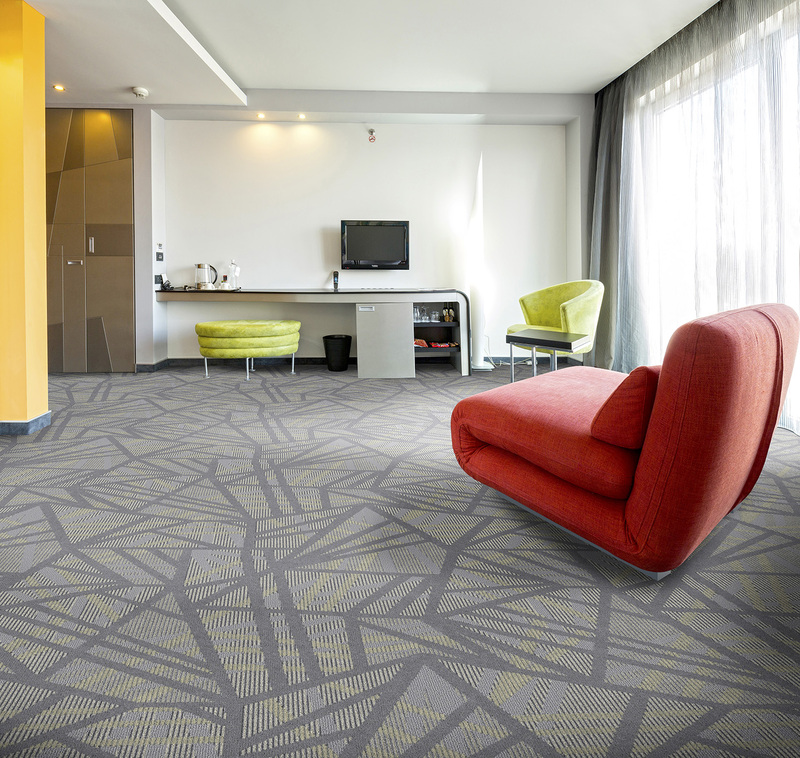 Commercial carpet products made with Zeftron nylon can be found in the world’s most stylish hotels, airports and universities across the country. We are excited about our latest installation in two upscale senior living facilities. RLPS Interiors, a firm with extensive experience in the senior living market, was charged with designing the interiors of two facilities serving senior patients and residents. RLPS needed a carpet that would not only provide a warm and inviting aesthetic, but also match the client’s overall design concept. This unique project required a custom carpet product. 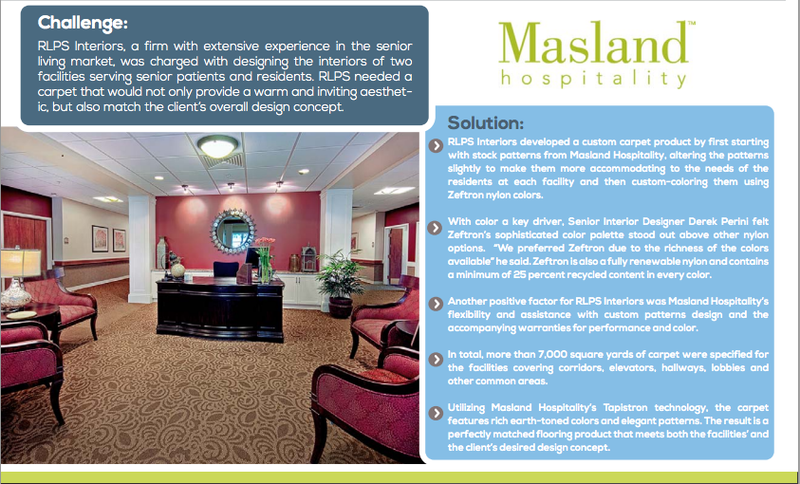 RLPS reached out to our mill partner, Masland Hospitality for a solution. Starting with stock patterns from Masland Hospitality, the designers altered the patterns slightly to make them more accommodating to the needs of the residents at each facility and then applied custom colors using Zeftron nylon colors. Color was a key factor for the project. 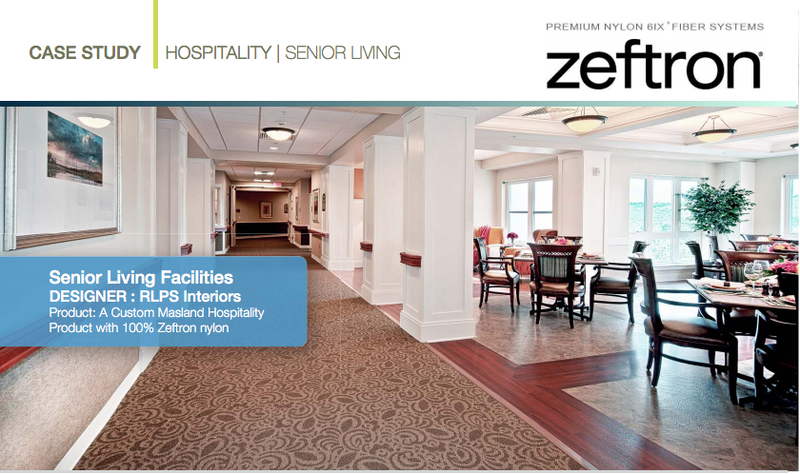 Senior Interior Designer Derek Perini felt Zeftron’s sophisticated color palette stood out above other nylon options. “We preferred Zeftron due to the richness of the colors available” he said. 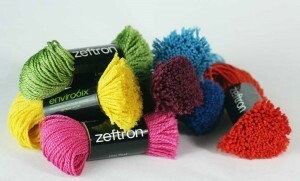 Zeftron is also a fully renewable nylon and contains a minimum of 25 percent recycled content in every color. In total, more than 7,000 square yards of carpet were specified for the facilities covering corridors, elevators, hallways, lobbies and other common areas. 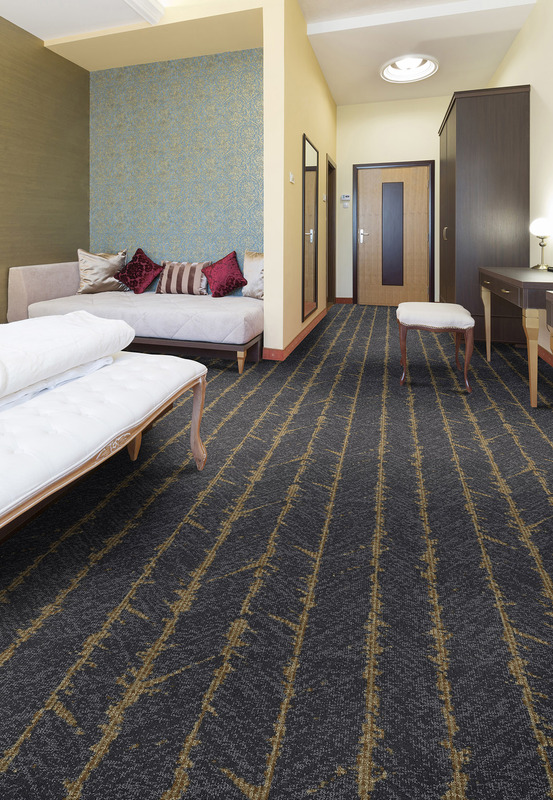 Utilizing Masland Hospitality’s Tapistron technology, the carpet features rich earth-toned colors and elegant patterns. The result is a perfectly matched flooring product that meets both the facilities’ and the client’s desired design concept. If you would like more information about Zeftron nylon or would like to partner with Zeftron on A&D visits, contact Zeftron Business Leader Tim Blount at: timothy.blount@shawinc.com or 706-532-2984. 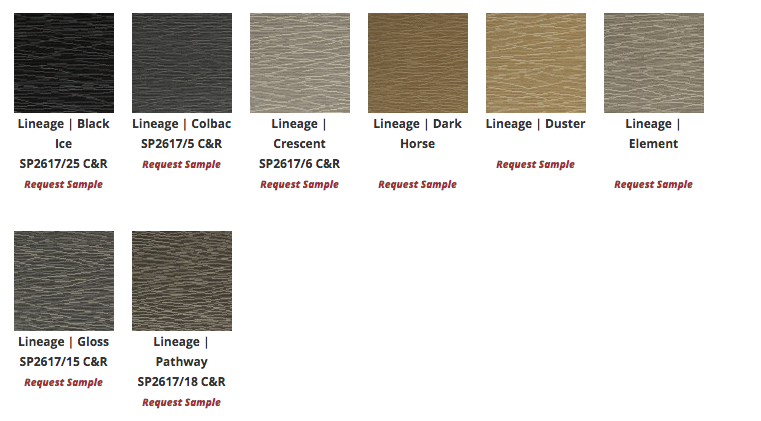 Last week we announced the latest addition to our expansive color palette, the “Designer Select” Collection. It is the second new collection from Zeftron in the last year. We also debuted the Brilliant Collection in 2014. While the Brilliant Collection is vibrant and bold, the “Designer Select” Collection contains subdued, nuanced and base shades that can easily be incorporated for use in running line products or custom carpet creations. These cool colors range from a deep charcoal grey to sterling silver. When designing commercial carpet this collection can help you create multiple tiers of color and more intricate designs with shading effects. Charcoal has been used since ancient times as a drawing material and pigment. 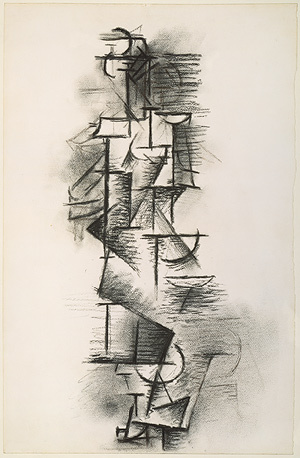 The word “charcoal” evokes images of sharp edges, deep shadows and masterfully created pieces of art. With this color designers can easily add an element of drama to their design or create a more defined pattern. Both the Sterling and Metallic Bronze options from this collection are soft, cool and bring to mind beautiful elements in nature. In design, metal can play a huge role in bringing the whole aesthetic together. Bronze or silver can provide an excellent contrast or complement when paired with other, more traditional colors like blue, grey or green. Industrial-looking in some applications, bronze and silver can also be seen as an element of refinement, as they hold precious metal qualities. What are the applications for the “Designer Select” Collection? Cool neutrals are soothing and can help subdue emotion, while blues are calming and relaxing. We’ve referenced several articles on color psychology in the past, and we continue to see design publications discuss the importance of color in hospitality settings. These colors are suited for healthcare environments, guest room interiors at hotels, or high stress work environments. We can’t wait to see what you will create with the “Designer Select” Collection. Our Marketing Specialists are here to help you find a carpet with the right design, construction and aesthetics desired for a specific end-use area or project. 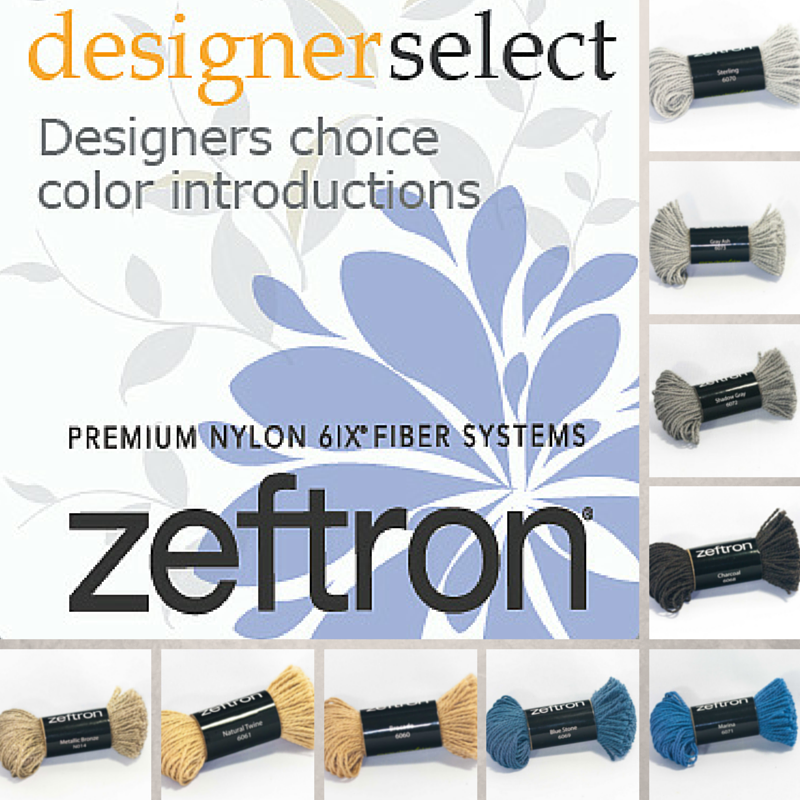 If you would like more information about the “Designer Select” Collection or would like to partner with Zeftron on A&D visits, contact Zeftron Business Leader Tim Blount at: timothy.blount@shawinc.com or 706-532-2984. 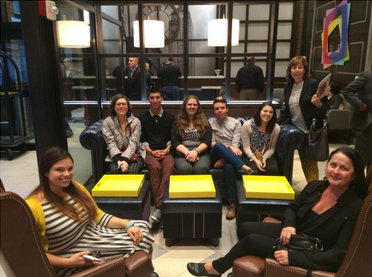 We recently toured the Novatel Times Square on the Interiors & Sources NYC Hotel Bus Tour. We were given a behind-the-scenes look at Novatel with designer Sara Duffy from Stonehill & Taylor who walked us through the bold expressive space. The lobby of the Novatel Times Square in NYC is bright and expressive! 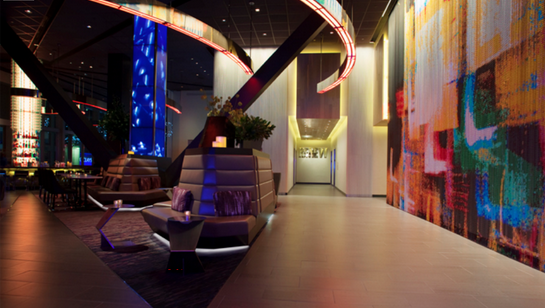 As you can see, the creative and strategic use of color and creative lighting are the main focus of this lobby space. When a guest arrives they are excited, drawn to various elements around the room and they feel energized! That is the power of design. We want to help you create a space that engages and leaves a lasting impression. That is why we created the Brilliant Collection​, made up of seven highly vibrant colors. We’re discussing these exciting new colors individually, and we look forward to hearing how you will incorporate them in your upcoming projects. Did you know that Green is the most seen color in the world (Independent Study: The Psychology of Color in an Interior Space). Green helps to sooth and encourage mental relaxation. A lime can add a punch of citrus and acid to cooking. Limes can change the entire taste of a recipe with just a little squeeze! Why not add something that powerful to your next project. The addition of Zeftron nylon’s newest colors in the Brilliant Collection give every project that something extra that they need. Design firm Chrissis & Company Interiors recently made the statement that the use of pink has risen in popularity and that “pink – in general is just hot.” We agree! 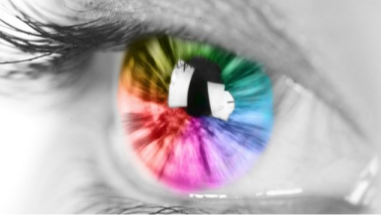 Our new colors are designed to meet the needs of designers in a color conscious world. We are watching the trends, listening to feedback from our mill partners, and providing new exciting options for your next project. Don’t forget to read about all the colors of the Brilliant Collection! We’d love your feedback and to hear how you would harness the power of these new brilliant colors! If you would like more information about the Brilliant Collection or would like to partner with Zeftron on A&D visits, contact Zeftron Business Leader Tim Blount at: timothy.blount@shawinc.com or 706-532-2984. 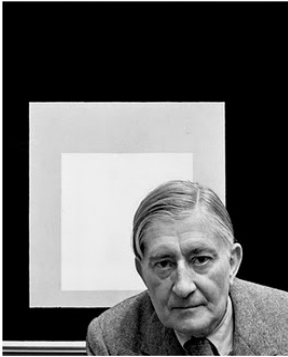 Josef Albers was a German-born American artist & educator whose work formed the basis of some of the most influential art education programs of the 20th century. Did you know that the color yellow is the easiest for the human eye to see? It’s no wonder that school buses and street signs are yellow. Our eyes are drawn to elements that are bright inside and out. That was the inspiration behind one of our newest color offerings: Lemon! Yellow accents in The Archer New York’s Lobby- captured during the recent Interior & Sources Hotel Bus Tour that Zeftron nylon sponsored. Imagine the possibilities when you add a bright color like Lemon to your next project. You can customize a beautiful, highly styled carpet for your next interior with pops of color such as Lemon and completely change the feel of the space. What would you do with Lemon accents in your next space? For more information please contact Tim Blount at 706-532-2984 or email him at timothy.blount@shawinc.com.